← Saturday is our Annual Thanksgiving Turkey Tasting! 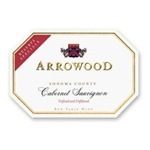 The 2010 Cabernet Sauvignon Private Reserve is built from completely different sources. Sixty-six percent came from the St. Helena Home Ranch, 18% from the Chabot Vineyard, and the rest from Beringerâ€™s estates in St. Helena, Rutherford and Coombsville. It is 100% Cabernet Sauvignon that came in at 14.6% natural alcohol with a pH of 3.8. 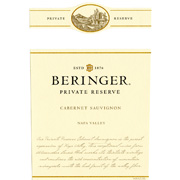 Perhaps the greatest Beringer Private Reserve since the 2007, 2005, 2002 and 2001, the 2010 offers up notes of lead pencil shavings, creme de cassis, subtle smoke, wet rocks and background oak. Full-bodied, rich and impressive, it can be drunk now or cellared for two decades. Made in a more masculine style, the 2008 Dominus has all of that along with bigger body and more structure, fat, density and texture. Both are brilliant wines and they represent the finest back-to-back vintages for Dominus since 2001 and 2002 or 1990 and 1991. 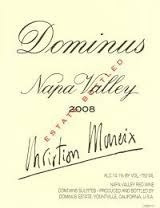 Both the 2007 and 2008 Dominus should drink well for 25-30 years. 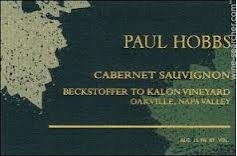 The 2009 Cabernet Sauvignon Beckstoffer To Kalon Vineyard saturates every corner of the palate with layers after layers of rich dark fruit, mocha, spices and licorice. This is a stunning To Kalon endowed with tons of site-specific character and nuance. Anticipated maturity: 2014-2029. 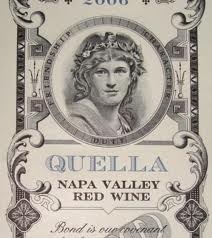 The 2007 Quella performed slightly better than I predicted last year. A magical combination of blueberry liqueur intermixed with crushed rock, spring flowers (violets? ), earth, pen ink and burning ember leads to a full-bodied, majestically rich wine with a multilayered texture, silky tannins and a phenomenally long finish of over 50 seconds. This sensational 2007 should drink well for 25-30+ years. The 2008 Vecina is a huge, strapping wine bursting with dark fruit, leather, licorice, smoke, minerals and tar. It possesses striking mid-palate depth and more than enough fruit to stand up to the firm, imposing tannins. Iron, graphite, smoke and minerals are layered into the dark, brooding finish. This is an impressive showing. Anticipated maturity: 2015-2025. Made from the estateâ€™s finest fruit and aged 23 or more months in a combination of French and American oak, it comes from multiple sources in Sonoma, including the Monte Rosso Vineyard (now owned by Gallo). A wine of great stature and richness, it boasts an inky/ruby/purple color along with a stunning bouquet of loamy, dusty soil, lead pencil shavings, creme de cassis, kirsch liqueur, licorice and barrique smells. 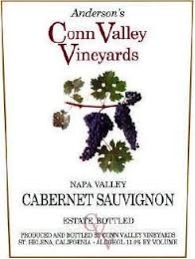 Full-bodied and opulent, with some tannin still to be shed, it is a classic, All-American style of northern California Cabernet Sauvignon that is approaching middle adolescence. It has another 20-25 years of life left. Bravo! 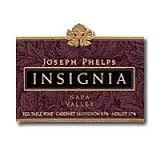 The 2008 Insignia, a blend of 89% Cabernet Sauvignon, 7% Petit Verdot and 4% Merlot that achieved 14.7% natural alcohol, is one of the more abundant vintages as there were 16,650 cases produced. Aged 24 months in new French oak, all from estate vineyards in Rutherford, St. Helena, Stags Leap and Oak Knoll, it exhibits a beautiful opaque purple color along with a sumptuous bouquet of creme de cassis, incense, forest floor, spring flowers, blueberries and subtle new oak. It possesses sweet tannins and cuts a full-bodied swath across the palate. Given this cuveeâ€™s history, the 2008 should age for 30 or more years. The 2011 Chardonnay McCrea Vineyard is all about detail. Subtle, yet expressive yellow orchard fruits meld into floral notes that add lift and freshness. The McCrea impresses for its delineation and nuance. It is a gorgeous wine all around. Anticipated maturity: 2013-2021. The 2010 Lynch Bages is an absolutely brilliant wine, and somewhat reminiscent at this stage in its development of the profound 1989. 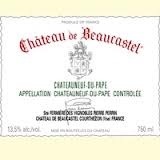 Jean-Charles Cazes, who took over for his father a number of years ago, has produced a magnificent wine with the classic creme de cassis note intermixed with smoke, graphite and spring flowers. It is a massive Lynch Bages, full-bodied and very 1989-ish, with notable power, loads of tannin, and extraordinary concentration and precision. This is not a Lynch Bages to drink in its exuberant youth, but one to hold on to for 5-6 years and drink over the following three decades. Complex aromas of sweet black cherries, loamy soil, roasted herbs, coffee, chocolate, and oak dominate the backward, muscular, virile 2005 Trotanoy. Deep ruby/purple to the rim, this broodingly backward, deep Pomerol exhibits admirable intensity, impressive purity, and a long, concentrated finish. Its character is similar to that of the 1998, but with more structure and tannin. I suspect my score will prove to be conservative after a decade of bottle age. 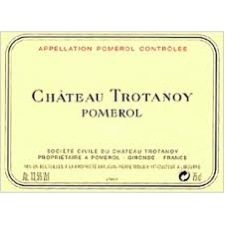 Along with Petrus and Lafleur, Trotanoy is the most backward of all the Pomerols. Anticipated maturity: 2017-2035. Although the 2009 Pape Clement may not be as sublime as the 2005 or 2000, but it is very close to those two efforts, and it will be fascinating to compare them (as well as the 2008 and 2010) over the following three decades. A blend of 50% Cabernet Sauvignon, 45% Merlot and 5% Cabernet Franc with a modest 13.5% alcohol, the 2009 reveals considerable structure and tannin along with tell-tale notes of burning embers, scorched earth, graphite, blueberries, blackberries and toasty vanillin, and a full-bodied mouthfeel. This rich, full offering is surprisingly backward. This cuvee should drink well in 5-6 years as one rarely has to wait a decade or more to enjoy Pape Clement. It should age for three decades or more. The work that Alfred Tesseron and his winemaking team have done at this estate since 1994 is remarkable. At this fabulous terroir just south of Mouton-Rothschild, Tesseron has made major investments, and instituted incredibly severe selections in both the vineyard and winery. The result is a succession of extraordinary wines. It is difficult to know whether the 2005 Pontet-Canet will ultimately eclipse the hedonism and density of the flamboyant 2003, but it is unquestionably a stunning effort. Inky/black-colored with a classic Pauillac perfume of licorice, black currant liqueur, graphite, cedar, and spice box, it is full-bodied, with magnificent concentration, formidable tannins, and an Arnold Schwartzenegger-like structure (when he was 25 years younger). This backward, formidably endowed 2005 will require patience. Anticipated maturity: 2017-2040. An amazing wine in every sense, this classic, full-bodied Pauillac is the quintessential Pontet Canet from proprietor Alfred Tesseron, who continues to reduce yields and farms his vineyards biodynamically â€“ a rarity in Bordeaux. Black as a moonless night, the 2009 Pontet Canet offers up notes of incense, graphite, smoke, licorice, creme de cassis and blackberries. A wine of irrefutable purity, laser-like precision, colossal weight and richness, and sensational freshness, this is a tour de force in winemaking that is capable of lasting 50 or more years. The tannins are elevated, but they are sweet and beautifully integrated as are the acidity, wood and alcohol (which must be in excess of 14%). 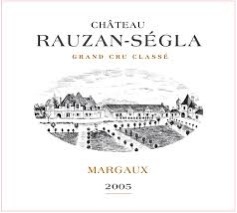 This vineyard, which is situated on the high plateau of Pauillac adjacent to Mouton Rothschild, appears to have done everything perfectly in 2009. This cuvee should shut down in the cellar and re-open in a decade or more. Anticipated maturity: 2025-2075. An absolutely amazing wine, from grapes harvested between the end of September and October 17, this blend of 65% Cabernet Sauvignon, 30% Merlot and the rest Cabernet Franc and Petit Verdot has close to 15% natural alcohol. It comes from one of the few biodynamic vineyards in Bordeaux, but you are likely to see many more, given the success that Tesseron seems to be having at all levels, both in his vineyards and in his fermentation/winemaking. An astounding, compelling wine with the classic Pauillac nose more often associated with its cross-street neighbor, Mouton-Rothschild, creme de cassis, there are also some violets and other assorted floral notes. The wine has off-the-charts massiveness and intensity but never comes across as heavy, overbearing or astringent. The freshness, laser-like precision, and full-bodied, massive richness and extract are simply remarkable to behold and experience. It is very easy, to become jaded tasting such great wines from a great vintage, but it is really a privilege to taste something as amazing as this. Unfortunately, it needs a good decade of cellaring, and thatâ€™s assuming it doesnâ€™t close down over the next few years. This is a 50- to 75-year wine from one of the half-dozen or so most compulsive and obsessive proprietors in all of Bordeaux. Is there anything that proprietor Alfred Tesseron is not doing right? Talk about an estate that is on top of its game! 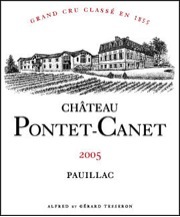 Pontet-Canetâ€™s 2010 is a more structured, tannic and restrained version of their most recent perfect wine, the 2009. Kudos to Pontet-Canet! 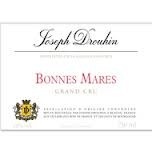 The 2009 Bonnes Mares is at first an immediate, supple wine graced with generous fruit and a warm, engaging personality. Crushed rocks, mint and spices add complexity to a mid-palate and finish that turns decidedly linear and intense. I would not at all be surprised to see this shut down in bottle given the wineâ€™s considerable underlying structure. This, too, is another wine that is holding back most, if not all, of its potential. Anticipated maturity: 2019-2039. The 2009 Solaia is one of the clear standouts of the vintage. Freshly cut flowers, raspberries, spices, mint and licorice burst from the glass as this fabulous, viscerally thrilling wine shows off its pure class. Today the oak is a bit prominent, but that wonâ€™t be an issue by the time the wine is ready to drink. In one of my blind tastings, the 2009 Solaia was flat-out great. There is no shortage of pedigree here. The 2009 has calmed down a little from its youth, when it was a much more exuberant wine, and has now begun to close down in bottle. 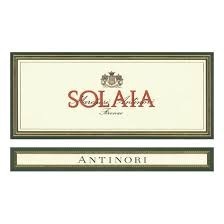 Solaia is 75% Cabernet Sauvignon, 20% Sangiovese and 5% Cabernet Franc from a single parcel within the Antinori familyâ€™s Tignanello vineyard. Anticipated maturity: 2019-2029.